If you are trying to establish a personal brand or build your own platform, you may be overlooking some of the simple tools at your disposal. Literally, every point-of-contact is an opportunity to create a positive brand impression—if you are intentional. 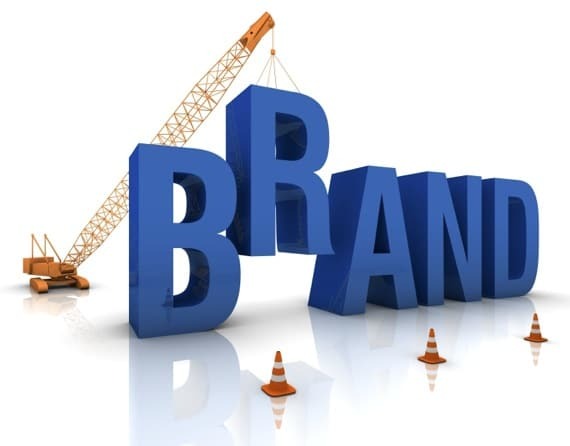 Here are five basic personal branding tools you should take advantage of before you move on to more complex ones. Email address. The other day, I received an email message from someone who claimed to be a social media expert, specializing in personal branding. Only problem was that his email address was something like [email protected] That instantly killed his credibility with me. Better yet, buy your own domain name for $10.00–20.00 per year. You really have no excuse for not doing this. You will then have an email address that looks like [email protected] This makes a positive, powerful brand impression. Email signature. Your email signature is an opportunity to create another branding impression. But be careful. If you include too much information, it just becomes a big gnarly ad. If you include too little, you miss a great opportunity. I do think it’s a good idea to include links to your blog or website, links to your social media profiles, and perhaps a mention of your newest project. (Don’t overdo it.) I also include a disclaimer at the bottom. Business cards. This is another way to create a powerful branding impression and also pass along important information. I am amazed at how creative people are with this. But don’t go overboard. Communicate the basics: your logo, your name, contact information, and perhaps a tagline. Make sure to include your social media contact information. I have seen some cards with just a Twitter username or a Website address. That can be effective, too, depending on your purpose. You can do this yourself with software like Photoshop or (my favorite) Acorn. Or, if you want a dedicated software program, try Business Card Composer. If you want to kickstart your creativity, here are hundreds of creative examples from a website called CardFaves. The great thing is that you will also find links to designers and suppliers. Website. This is undoubtedly the single most important branding tool you can have. It is the first way in which most people will encounter you. Even if they meet you first or hear you speak, they will inevitably visit your website or blog. It will shape their opinion of you. That’s why you must get it right. Hire a web designer if you can afford one. Talk to him or her about your brand and what you want to communicate. Write down a few words that you hope visitors will use to describe you. Pay attention to colors and fonts. These all communicate in subtle and subliminal ways. If you can’t afford a web designer yet, at least start with a professional theme. When I moved to WordPress, I started with WooThemes. I have family members and friends who use ElegantThemes. I am currently using a customized version of Standard Theme, which I love. (Here are five reasons why.) You can purchase a great theme for $50.00–$100.00. Social media profiles. Once you have blog or web theme, incorporate as many elements as you can into your social media profiles. Twitter, Facebook, YouTube, and others allow you to customize the background graphics and other elements. The goal is to have your fans and followers have a consistent brand experience. Use the same logo, color palette, and fonts on every platform. You want them to land on one of your social media profiles and know instantly that it is your profile. I used TweetPages to design mine. I spent a couple hundred dollars to have them design a custom background for my Twitter, Facebook, and YouTube pages. For a high-quality graphic artist, this was a bargain. As a bonus, it was one of the best customer service experiences I’ve ever had. These five tools can go a long way toward creating a positive first or second impression. Don’t think of them in isolation, but rather as part of your overall brand management program. Question: How well are you using these tools for personal branding? What tools have I missed? You can leave a comment by clicking here.